Thought Clothing started its life as Braintree in 1995, driven by two pals who were drawn to create natural clothing with style back when 'slow fashion' was a seed shaded by fast fashion chains rather than the revolutionary movement it has become today. While Thought lay down its roots in London 23 years ago, it has since organically ebbed and flowed with the spurts and pains of growth to stretch its branches and place its pieces in over 1,000 shops across the world. 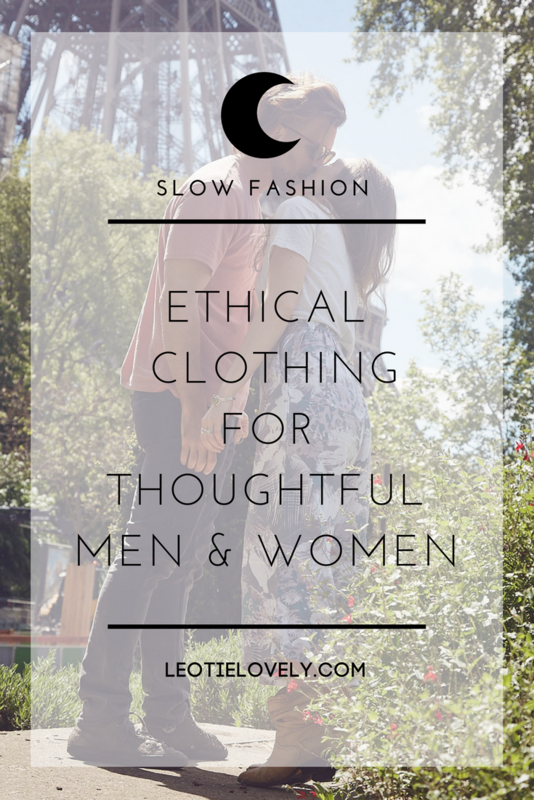 The company has produced its products ethically and ecologically from the beginning, with thoughtful choices about the fabrics they use and how they design and produce their garments. Reducing environmental impact has been the driving force since their beginning and has accompanied them throughout their rise as they aim to minimize their footprint by concentrating on circularity at each step. 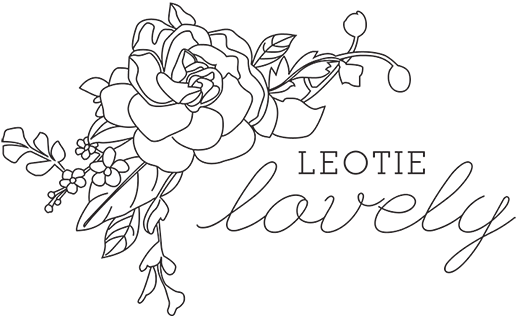 Their clothing is durable, multi-seasonal and easy to style, created with their slow fashion mantra "wear me, love me, mend me, pass me on'. They use naturally grown bamboo, cotton, wool and hemp in their collections, each free of harmful pesticides and chemicals. In addition, they embrace the spirit of conscious fashion innovation, expanding their collections recently to include both tencel and modal. As one of the few brands offering stylish clothing to both men and women, they have quickly become a part of most conscious consumer's slow fashion wardrobe. I myself have embraced their creations with glee, wearing each item I've managed to get my hands on hundreds of times throughout the various seasonal shifts that have risen to greet me. Sustainably crafted from a durable blend of hemp and organic cotton jersey, this is by far my picky husfriend's favourite shirt thus far (in life). 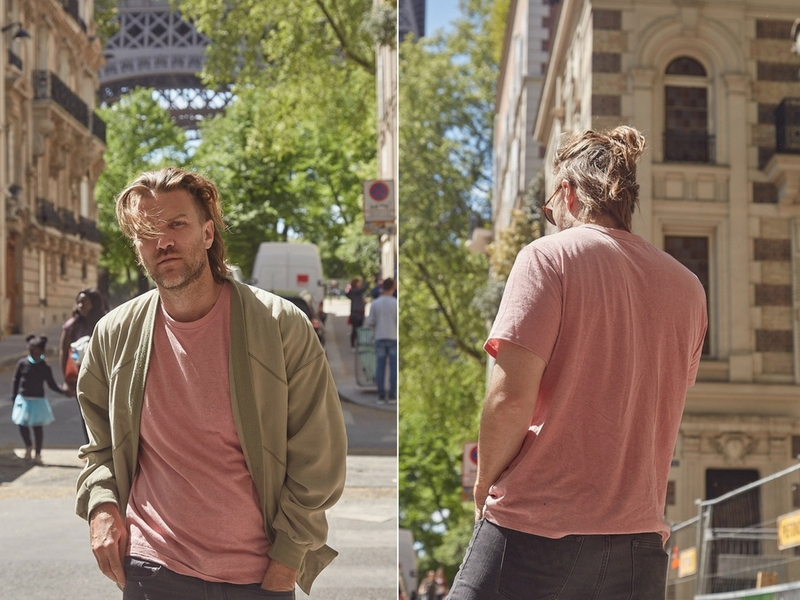 We picked these up in Denmark last summer, I'd say about 85% of Shane's clothing is thrifted or vintage, the other bits are made up of investment pieces from Whole Earth in the U.S.A and tops by Thought Clothing. Another Danish find, it fits both of us and never wrinkles or stains. With a very expensive insole inside and a pair of Norwegian wool socks, he's managed to make these babies last the winter and they somehow haven't harmed his back. I'm a huge fan of Thought's culottes, I own one other pair which you can see styled up in my Spring Capsule Wardrobe HERE or HERE. In preparation for 'van life' I thought these would be perfect for summer as they're super comfy and breathable ... and I was right. This jacket has served me sweetly for over a year now and is diverse enough I can wear it from the edge of winter all the way through summer. You can see styled up in my Spring Capsule Wardrobe HERE or HERE. Another brand based in Britan, this young sustainable fashion brand was founded by French artist Myriam Achour who hand draws each original design and prints them on certified organic and fair-trade garments to create her unisex line. I've been wearing cowboy boots since I discovered how comfortable, practical and flattering they were in my teens ... perhaps some sort of foreshadowing that I'd marry a Texan. I've never owned a new pair, always second-hand or vintage, this pair has been around longer than I have and with a few sole repairs, they may outrun me yet. SPONSORED POST: This post was sponsored by THOUGHT CLOTHING. The story, including all content, experiences, suggestions and opinions, are my own. I was gifted all the items pictured in this post and there are some affiliate links mixed in with other items mentioned. It is with the support from companies like this that I am able to continue researching, writing and sharing these sustainable stories. I'm most grateful for both their support as a brand and yours as a reader. That sweater looks super comfy!